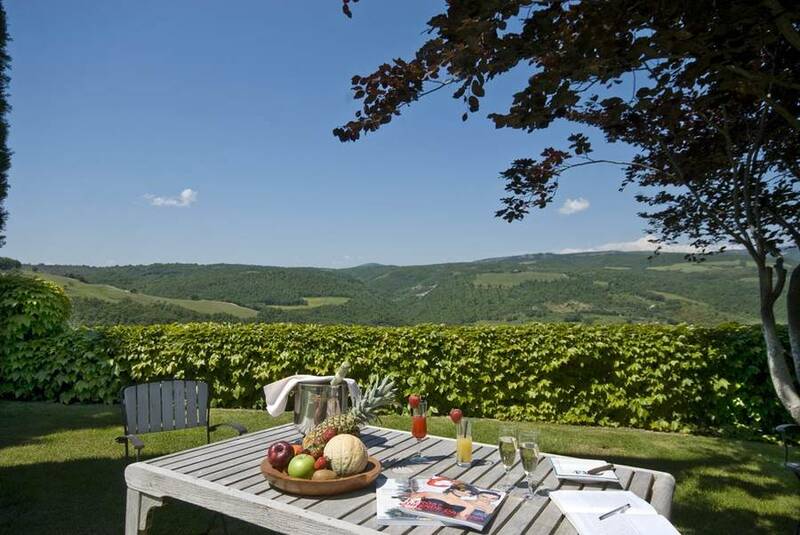 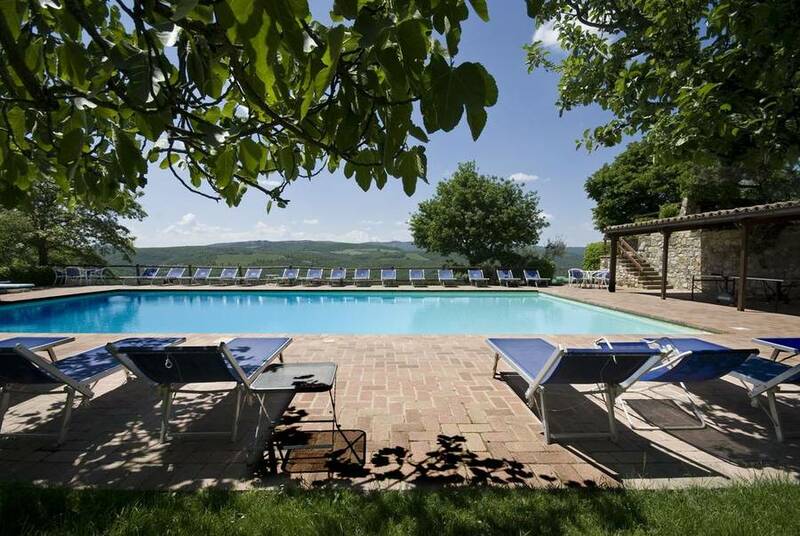 Fattoria di Vibio is a country resort in the green heart of Umbria, tucked in the quiet Mount Peglia Park. 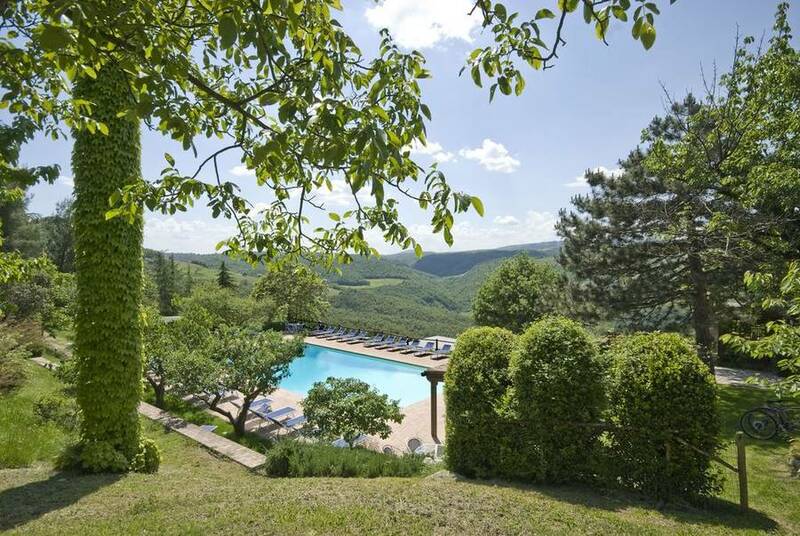 Here rustic design and the pristine beauty of the Umbrian hills blend perfectly into a breathtaking oasis where you can recharge mentally and physically. 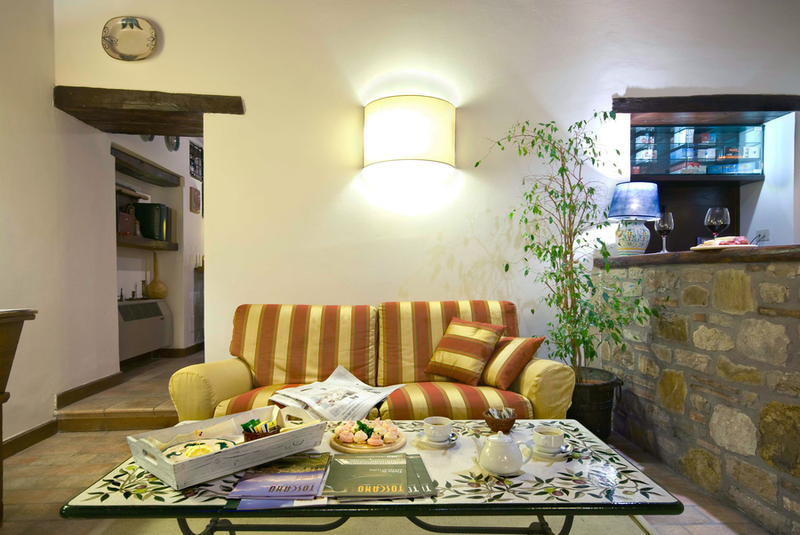 If you want to leave the stress of the city far behind and relax in the serenity and beauty of the countryside, La Fattoria di Vibio is the perfect choice. 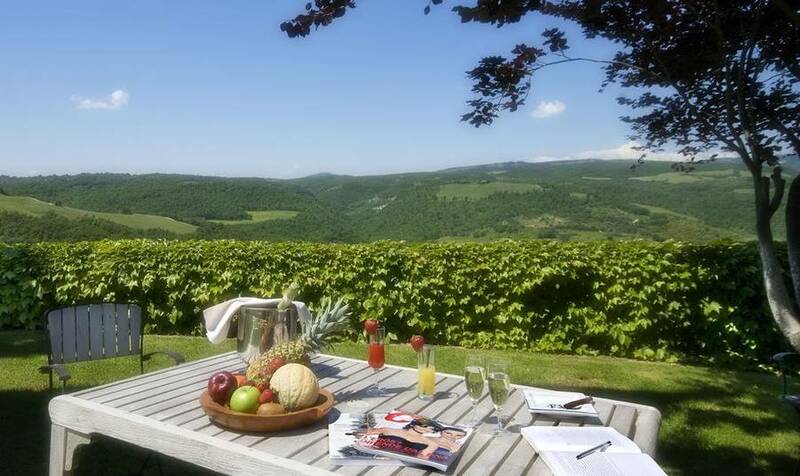 Here you can slow your pace and concentrate on the quality of life and the wonder of nature, often forgotten in the hectic daily routine. 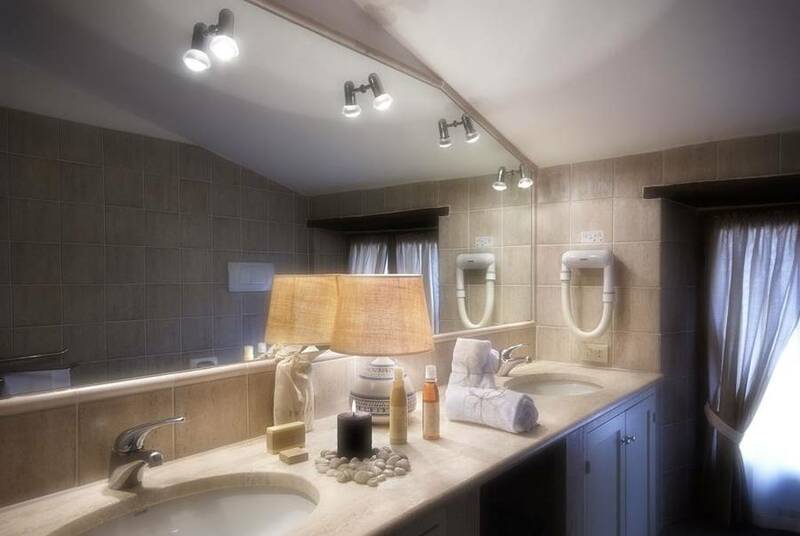 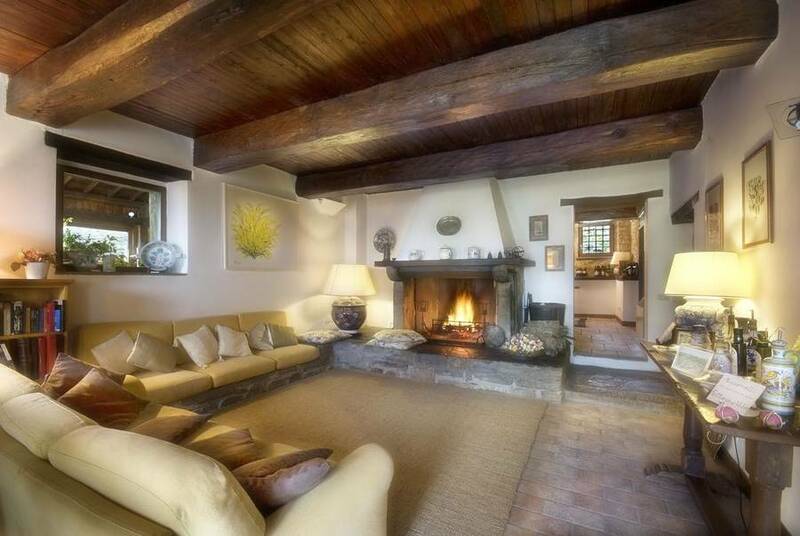 Do you prefer the charm of a stone farmhouse or the comfort of a modern suite? 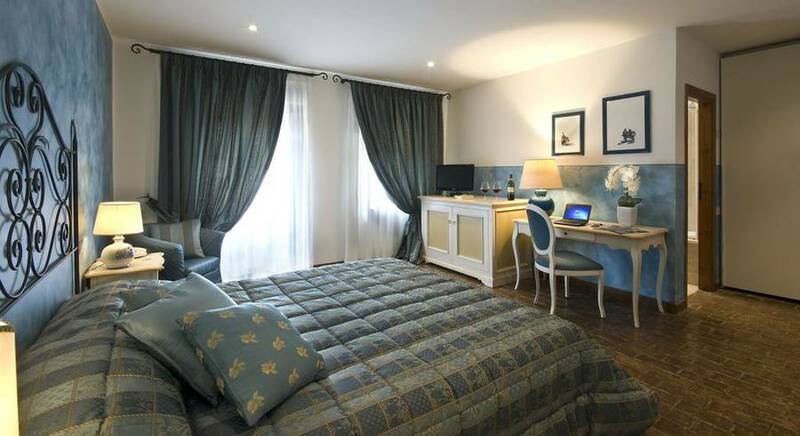 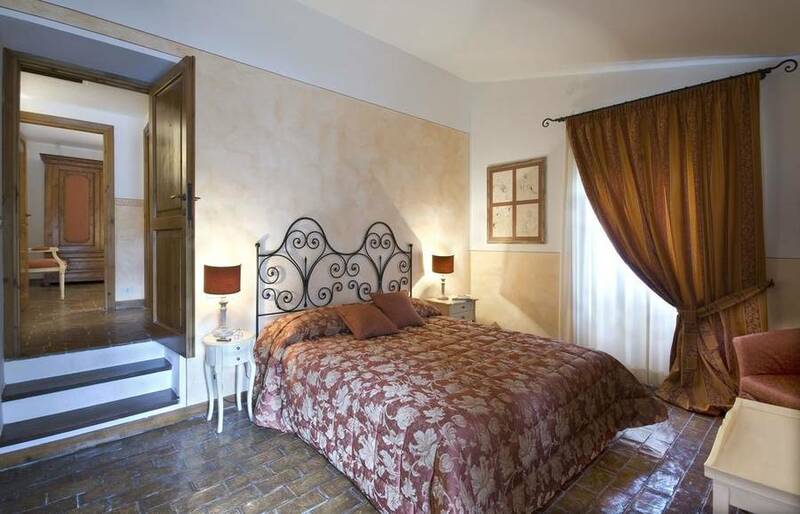 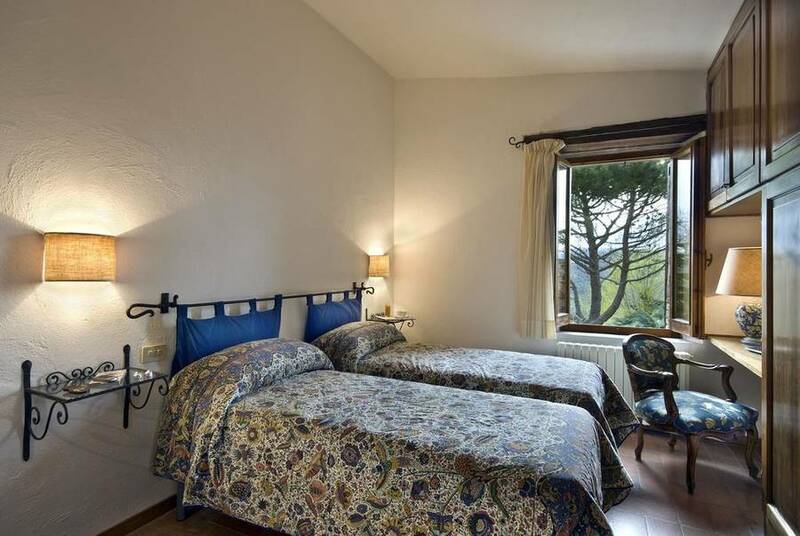 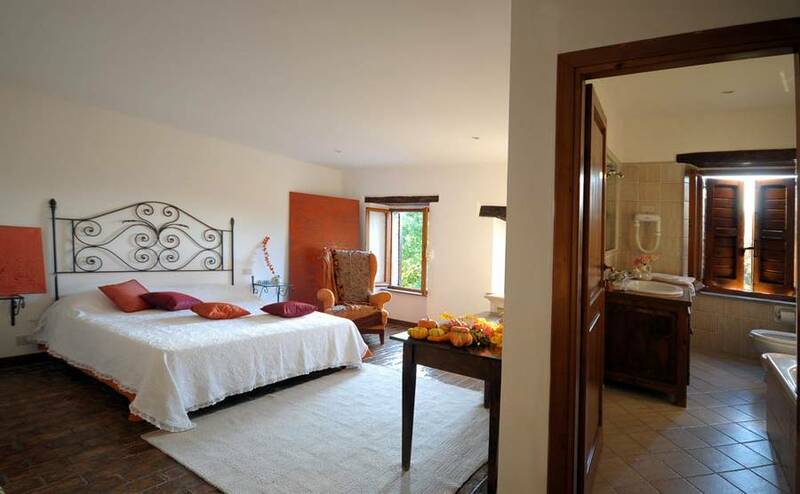 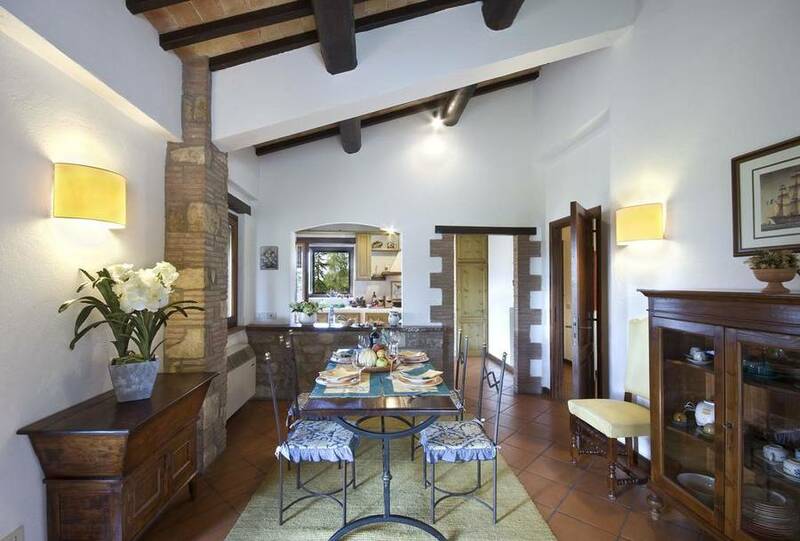 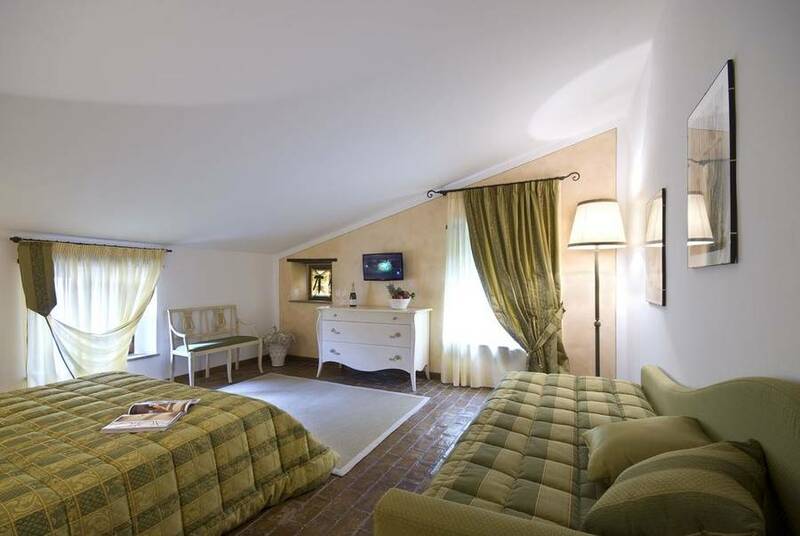 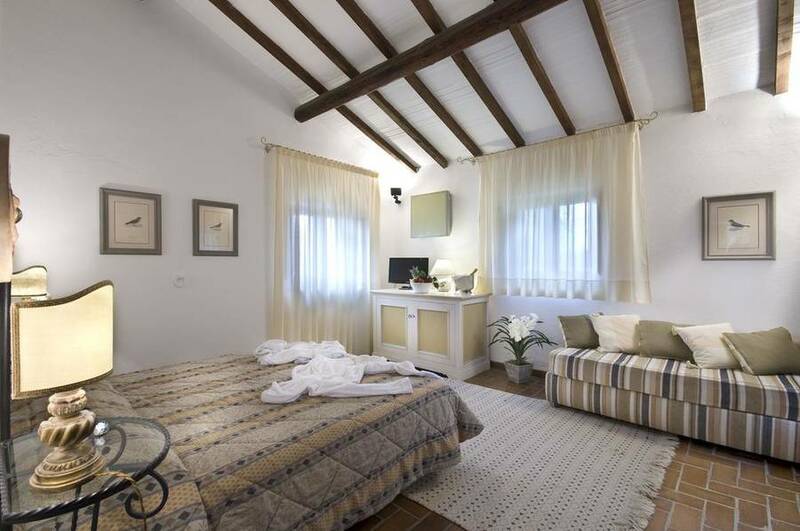 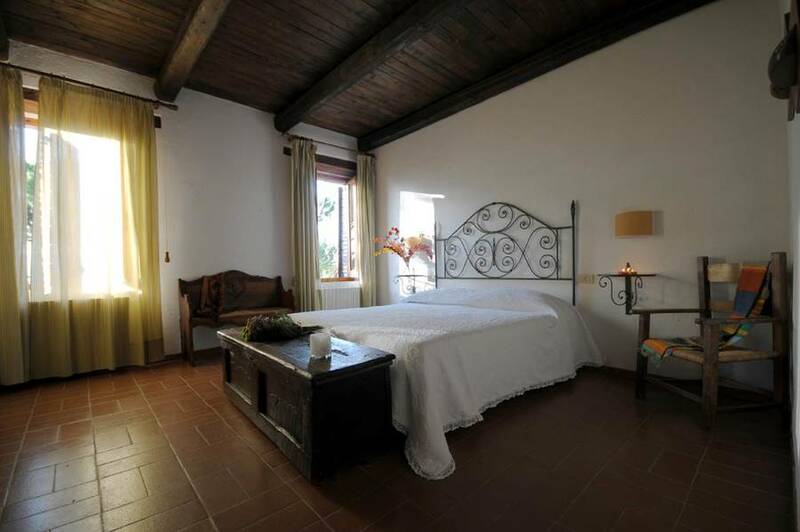 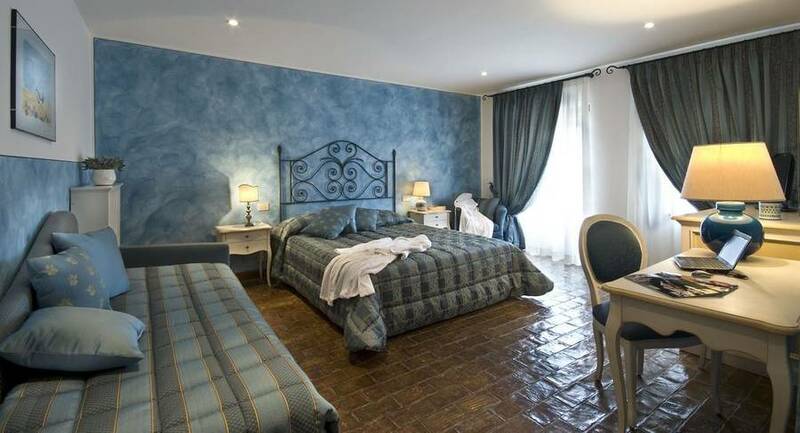 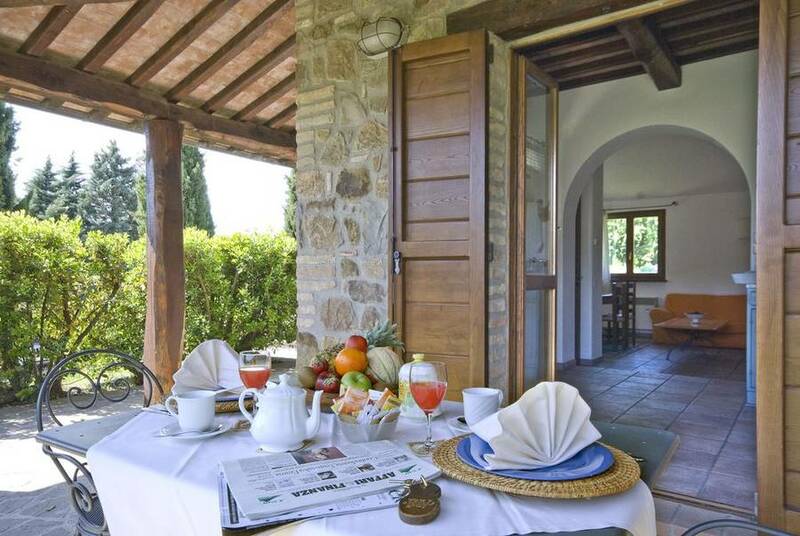 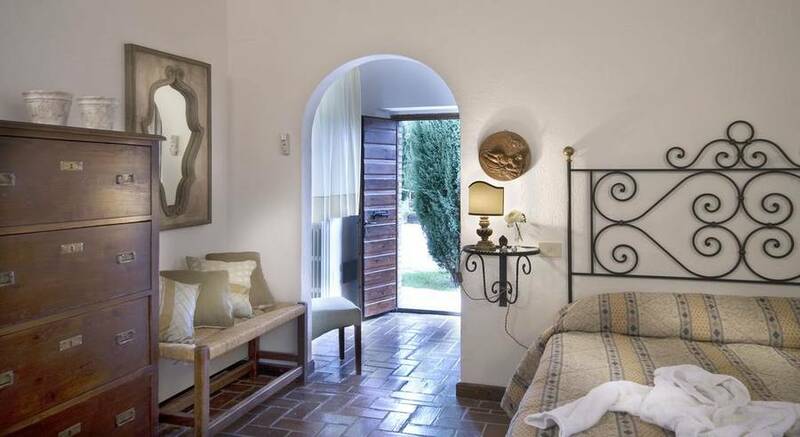 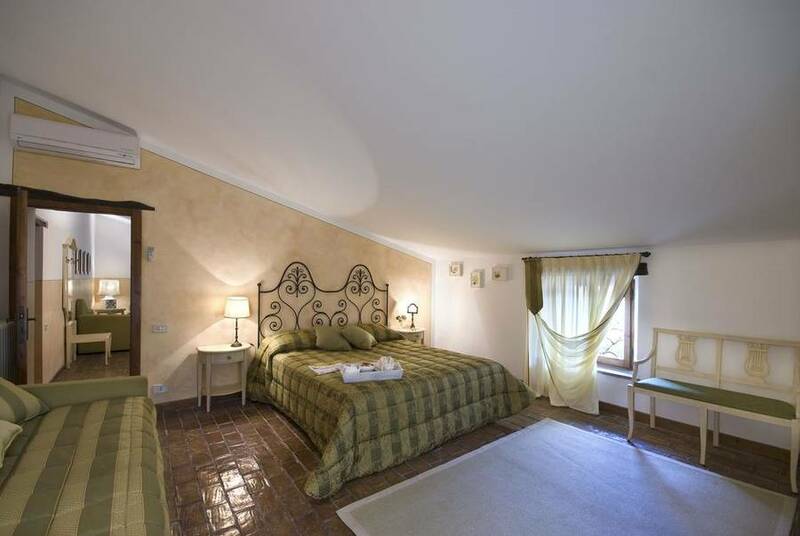 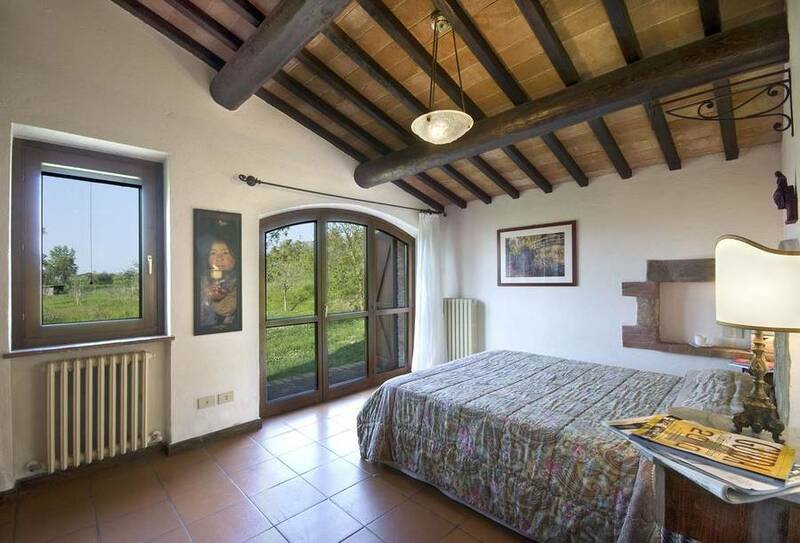 At La Fattoria di Vibio, you can choose the accommodation that best suits your travel style! 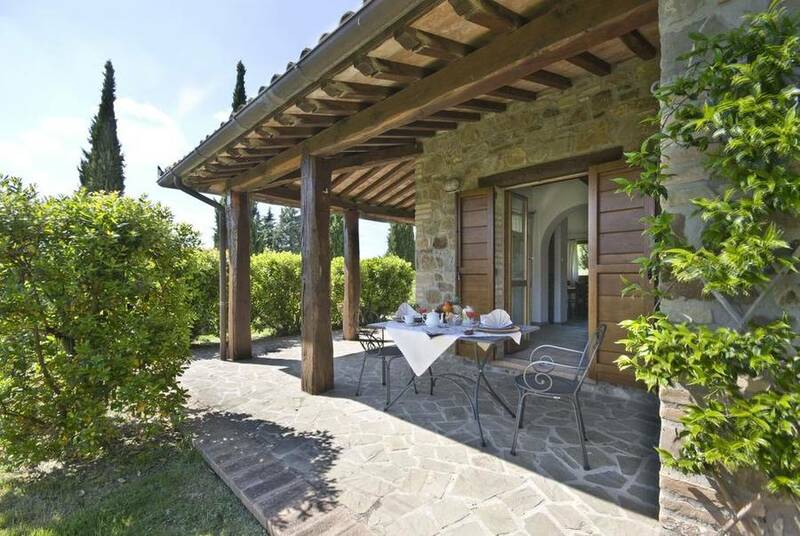 The three historic farmhouses at Fattoria di Vibio have all been painstakingly restored, preserving all their historic features while being transformed into contemporary independent cottages with a country chic decor, independent entry and private parking, outdoor patios, living rooms with fireplaces, views from the bedrooms, and luxury services. 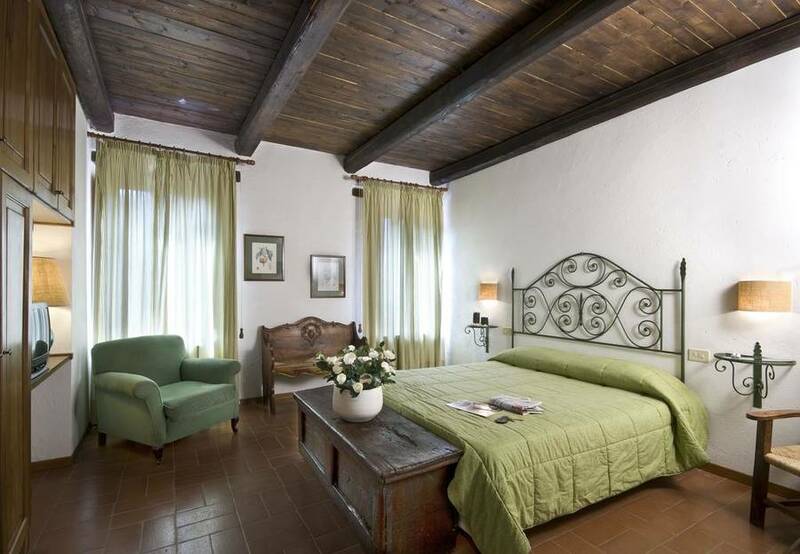 Terra cotta floors, wood-beamed ceilings, and exposed stone walls make the rooms and suites of the hotel unique, with a simple design that reflects the rustic Umbrian architecture but all the modern amenities and comforts. 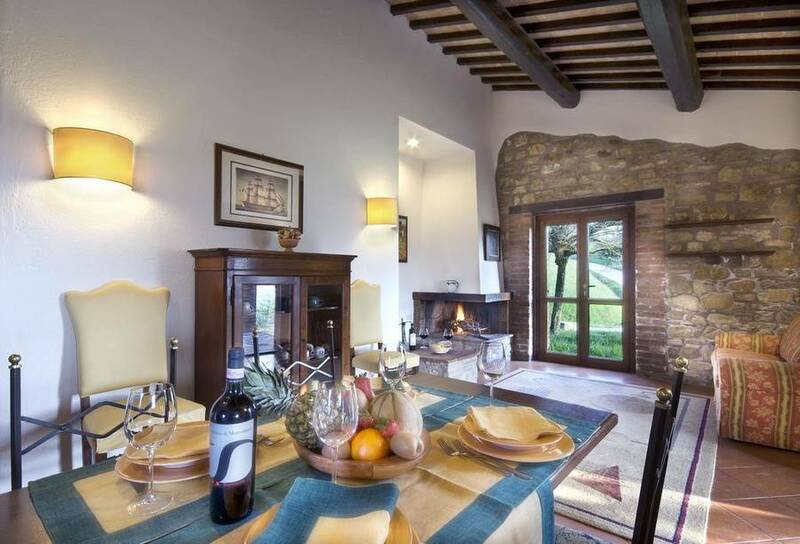 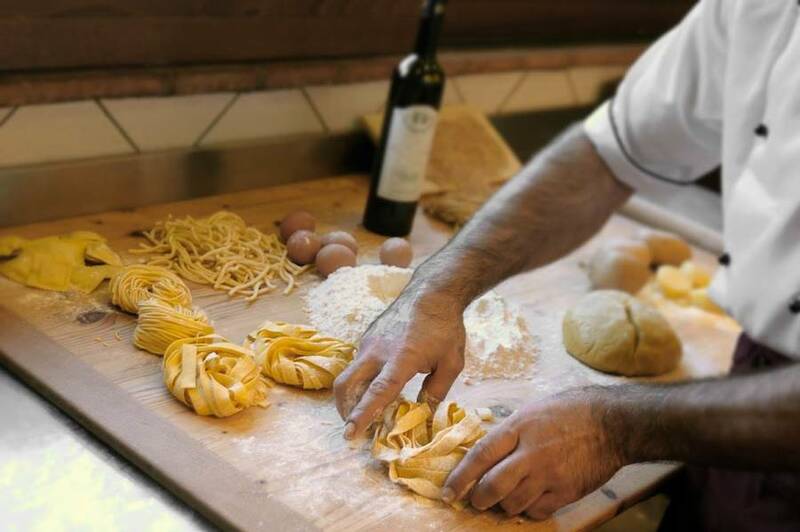 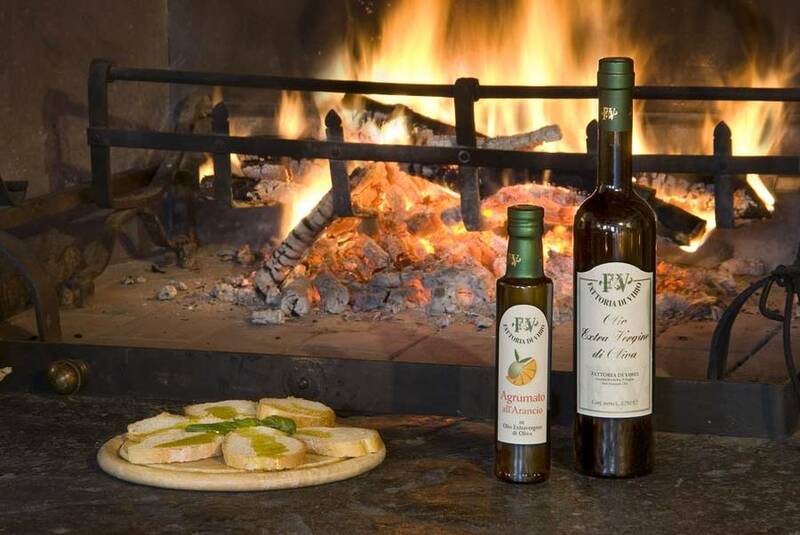 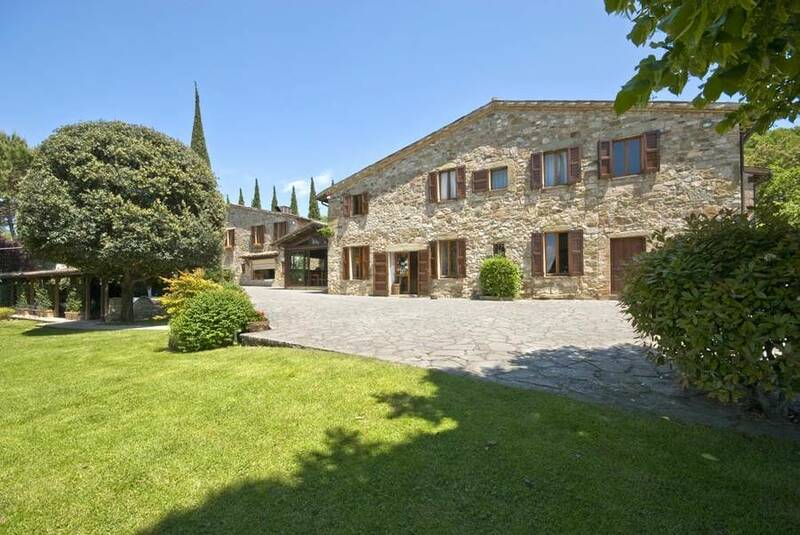 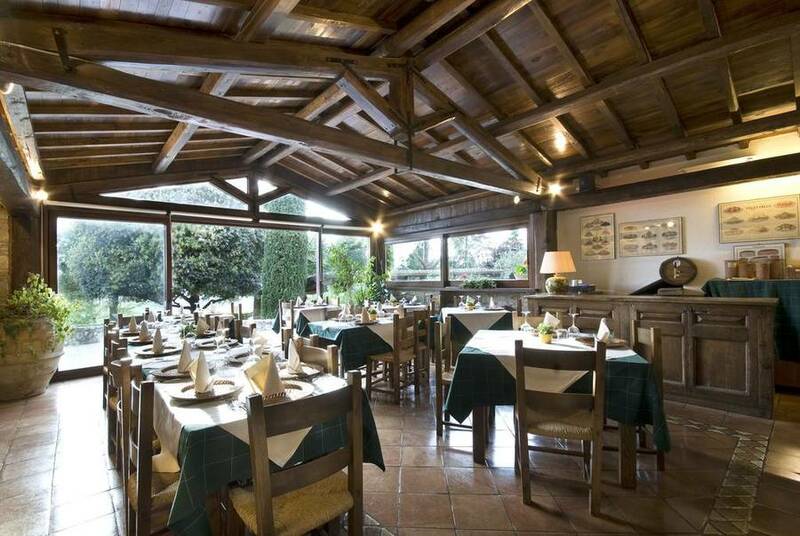 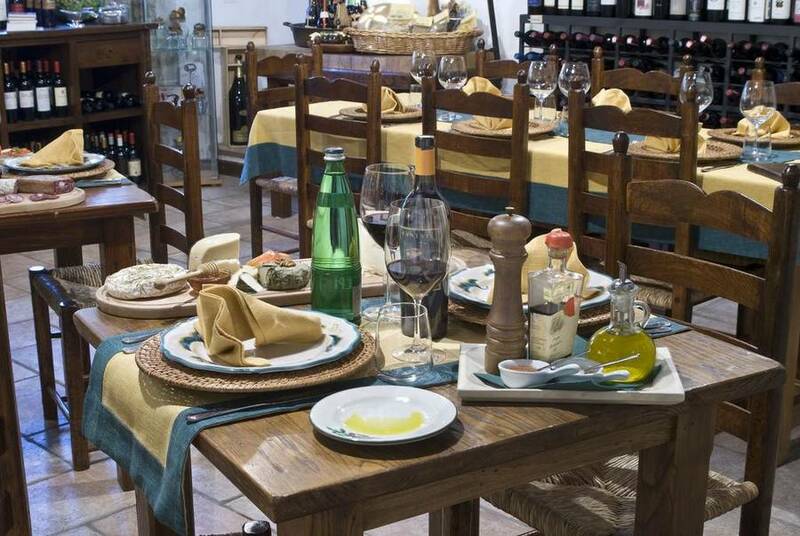 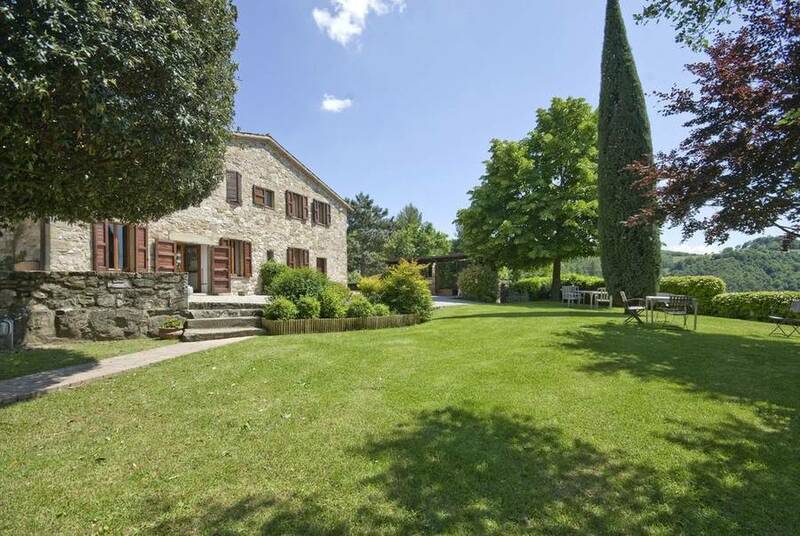 La Fattoria di Vibio guarantees that guests will experience the best in Umbria cuisine. 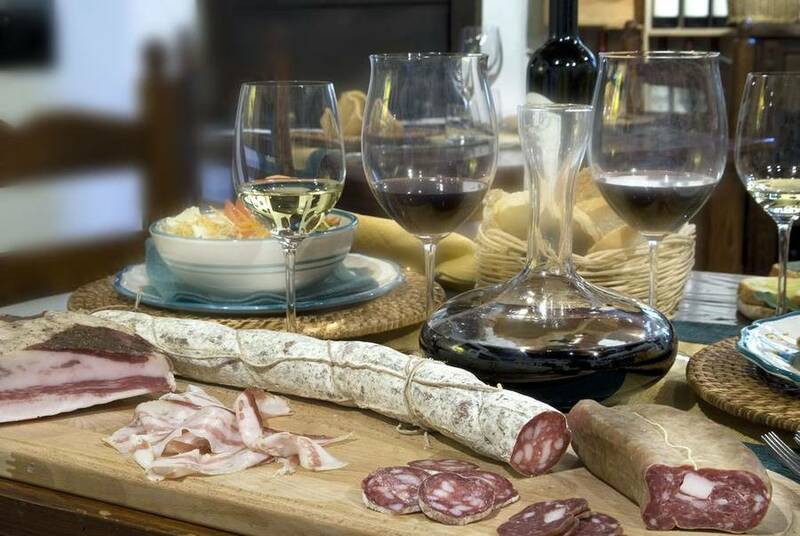 The regional specialties are prepared by the resort chef using local products and paired with the best wines. 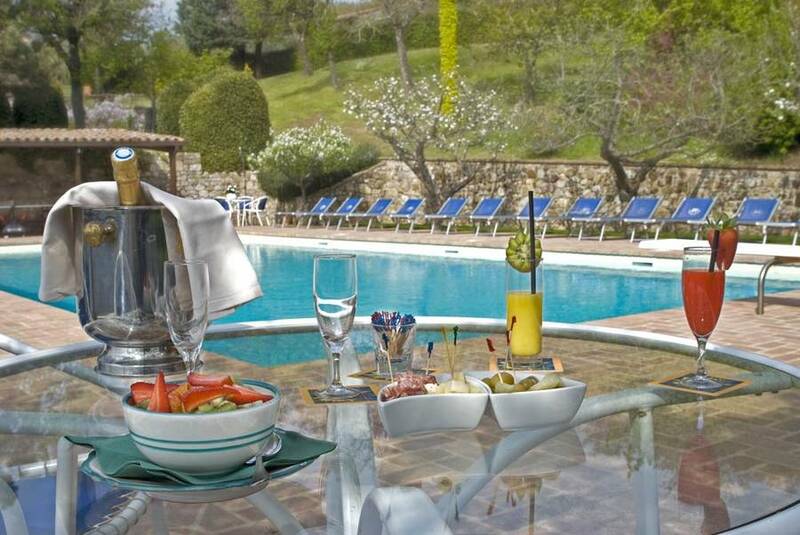 All this can be enjoyed in the welcoming dining room with a veranda or, in the summer months, al fresco on the outdoor terrace. 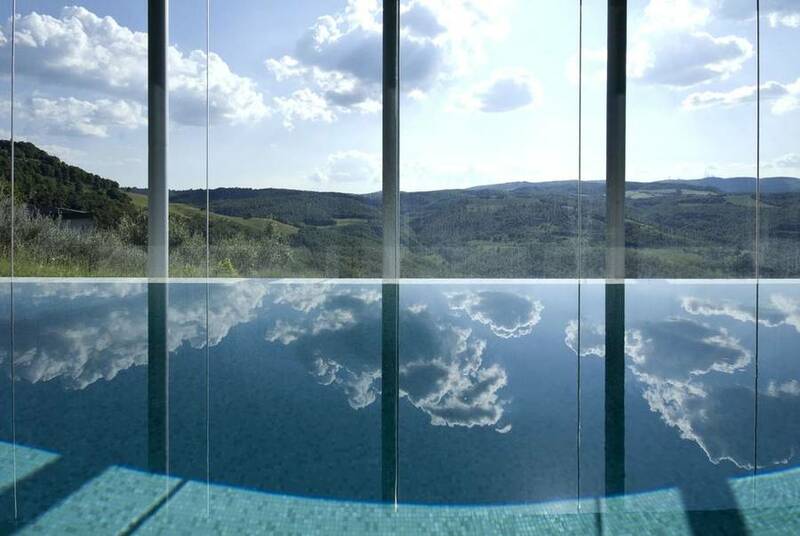 To feel good mentally, you have to feel good physically. 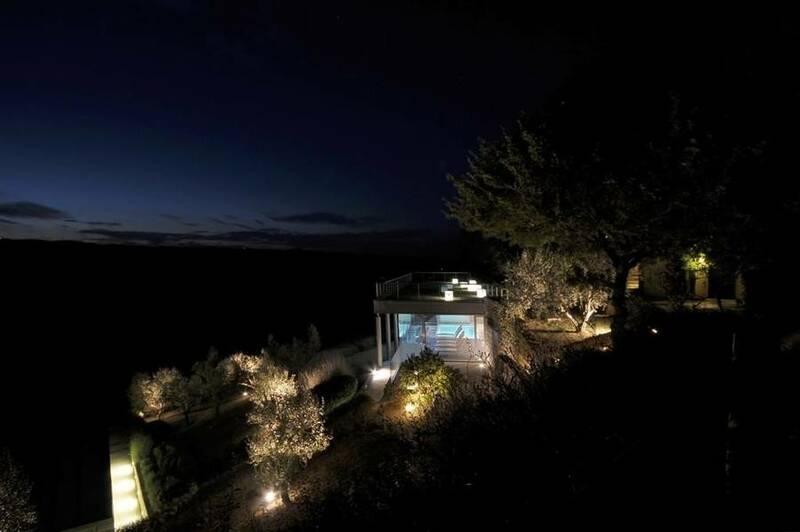 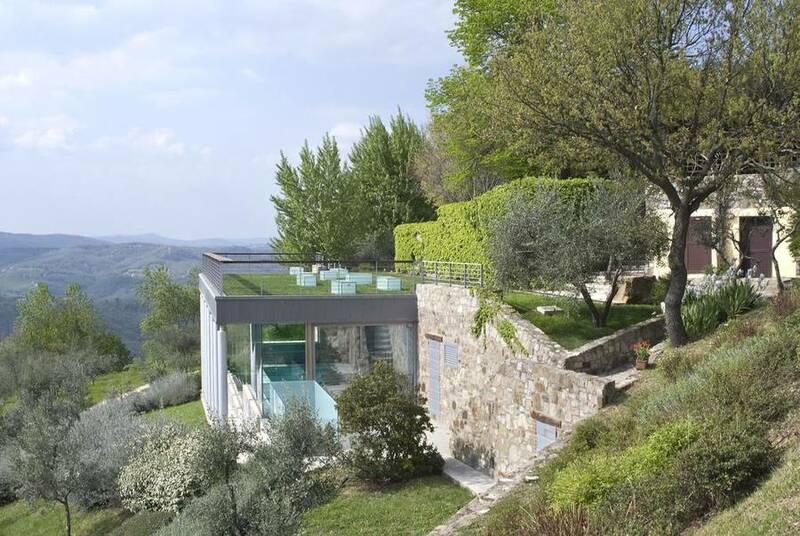 La Fattoria di Vibio has a deluxe spa overlooking the rolling hills of Mount Peglia from its stunning plate glass window. 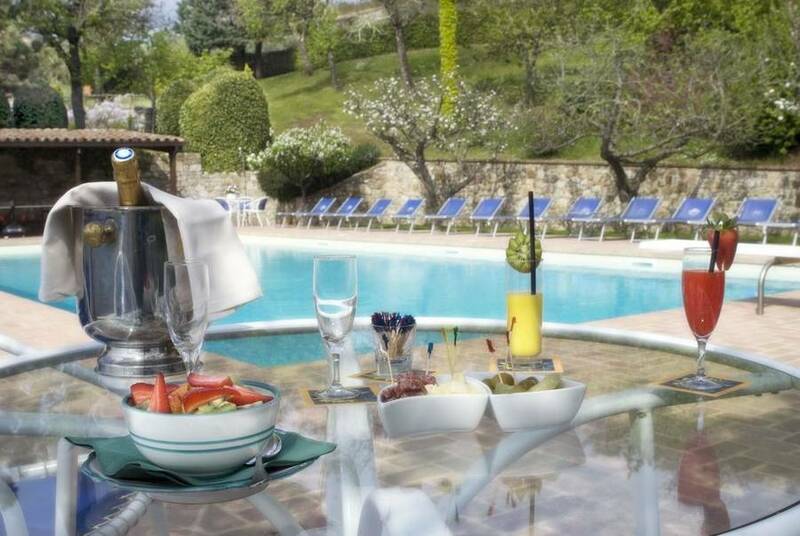 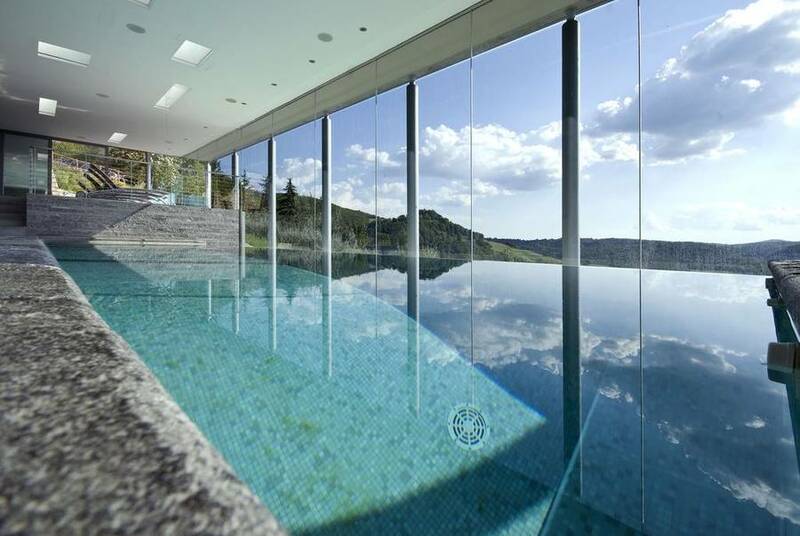 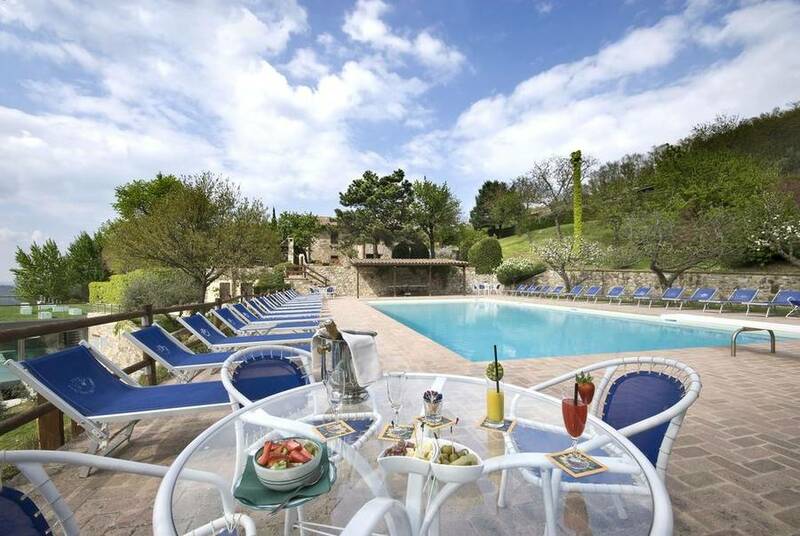 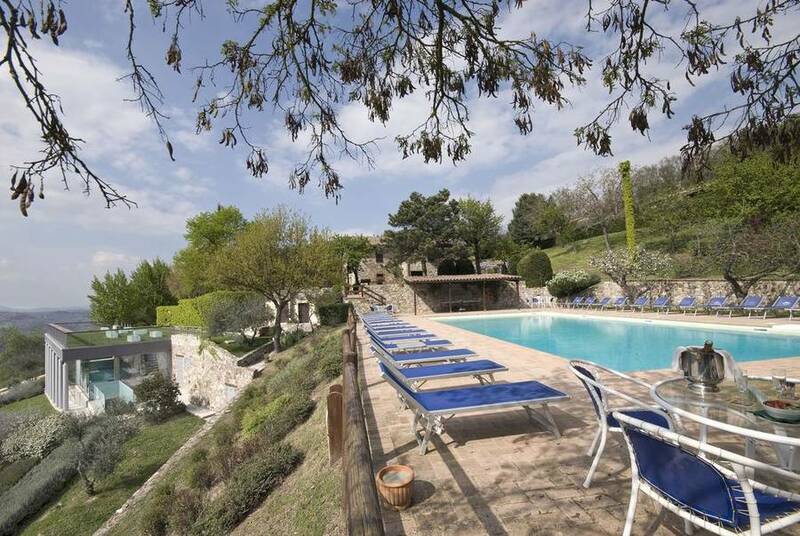 An outdoor pool, an indoor pool with massage jets, a steam room, and a number of massages and treatments to help you recharge during your Umbrian vacation! 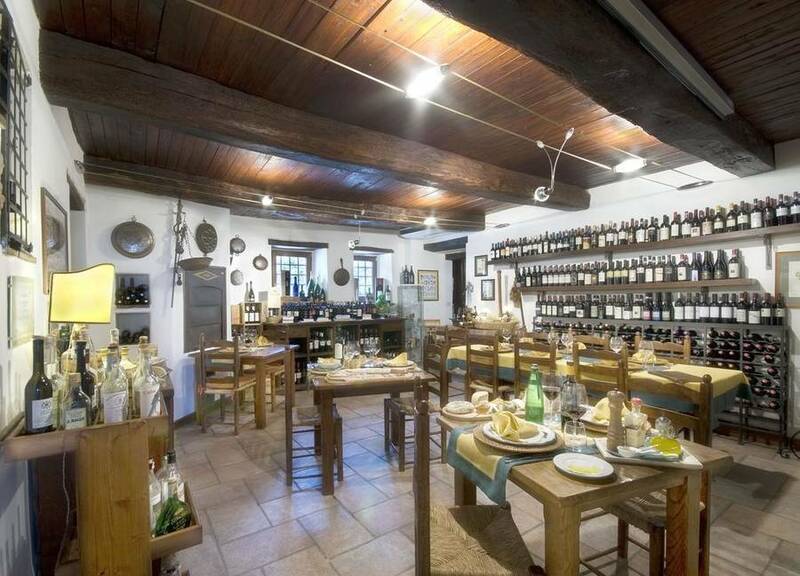 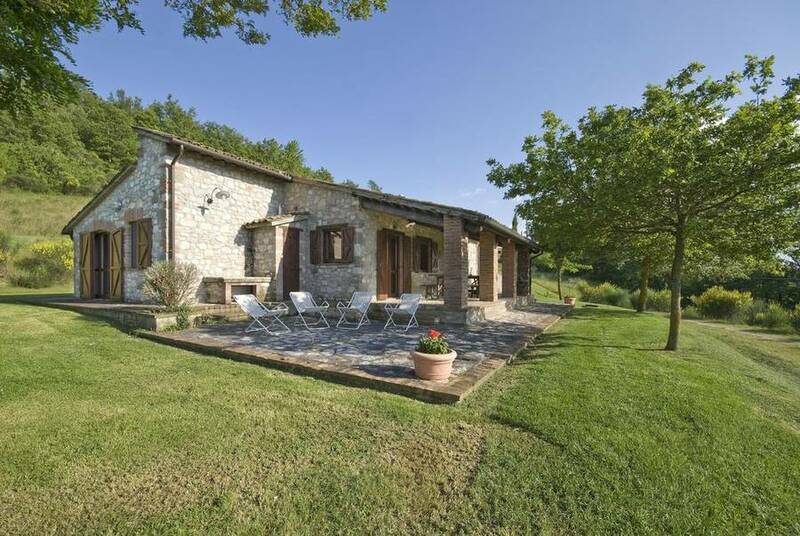 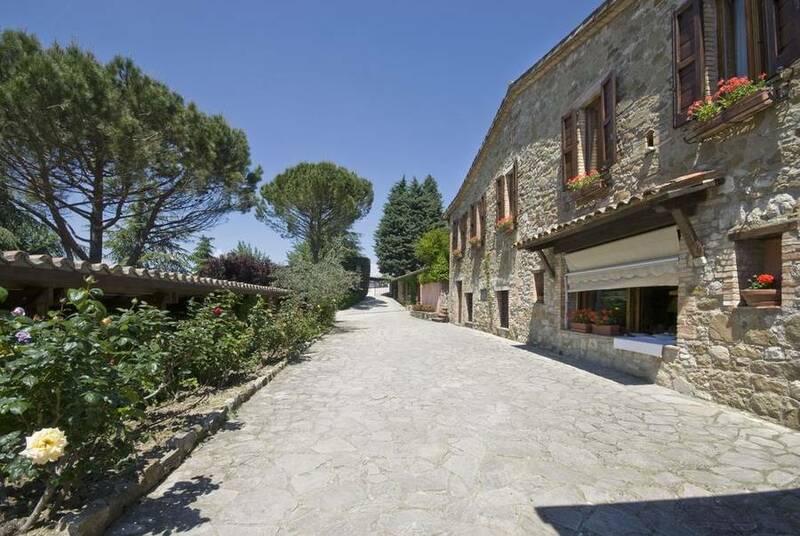 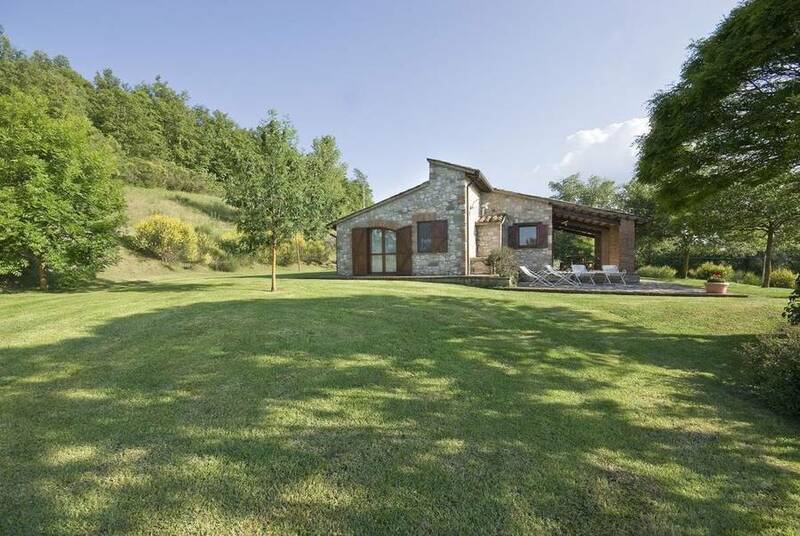 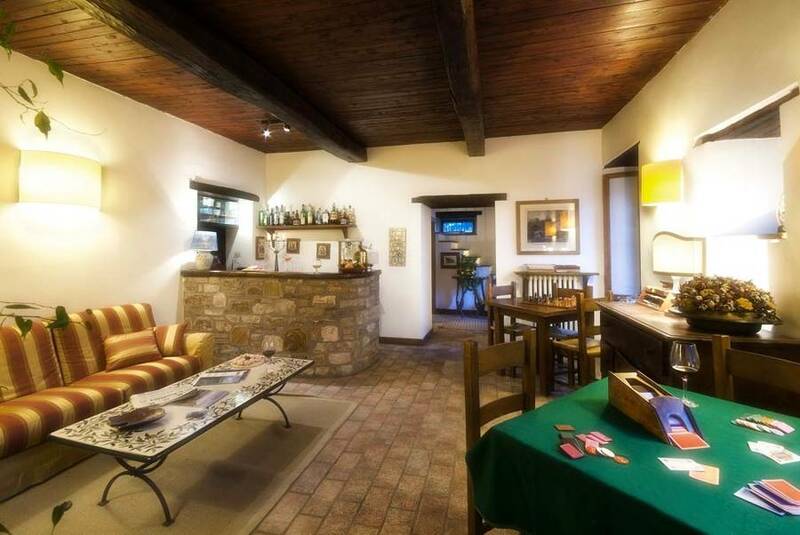 La Fattoria di Vibio is an ideal location no matter what your travel style and needs. 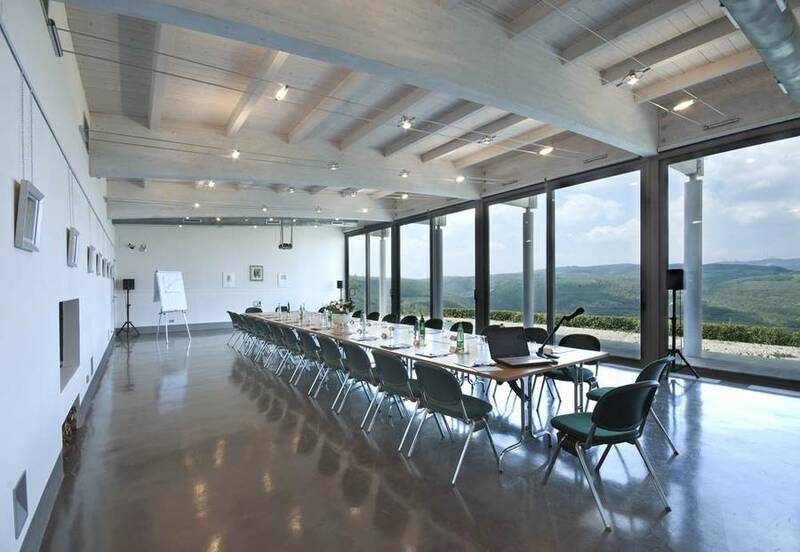 From the modern conference room for meetings, to the banquet and wedding planning services, to arranging horseback riding or jeep excursions through the surrounding countryside, you'll find everything you need against a breathtaking natural backdrop. 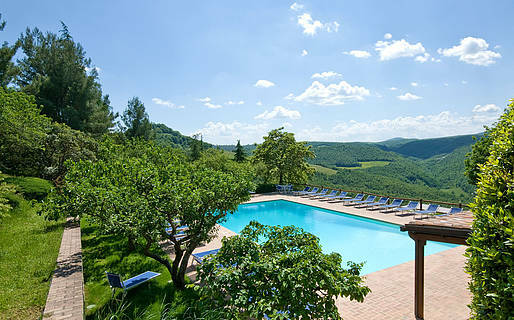 Surrounded by the rolling Umbrian hills and overlooking the valley of Mount Peglia, the La Fattoria Di Vibio country resort is just a few kilometers from Todi and the perfect location from which to visit all the region of Umbria, including Orvieto and Perugia, which are well-connected by highway. 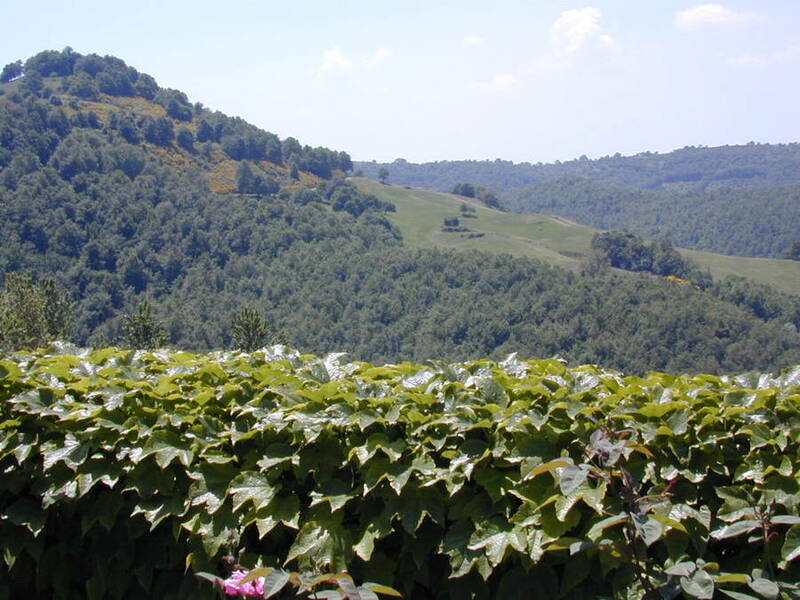 There are also numorous outdoor activities in the nearby countryside.